Welcome to the adventures of S/V Smoke and Roses. Smoke and Roses business website has been temporarily changed to feature our blog while sailing around the world. We are Dan and Agnes Long, both retired from our oringinal careers, Dan a firefighter and Agnes owned a rose business, hence the name Smoke and Roses. We were born in Wisconsin but met in South Dakota. Dan introduced Agnes to motorcycling and we took up scuba diving and sailing together. Our new boat was put into bareboat charter in the BVI. 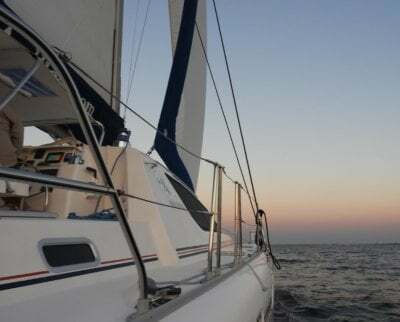 We started doing crewed charters there while on vacation from our other jobs and continued to add to our sailing certifications as well as getting our Captains licenses. Once we retired and moved to Florida we sailed Smoke and Roses to our new home and began chartering her full time. 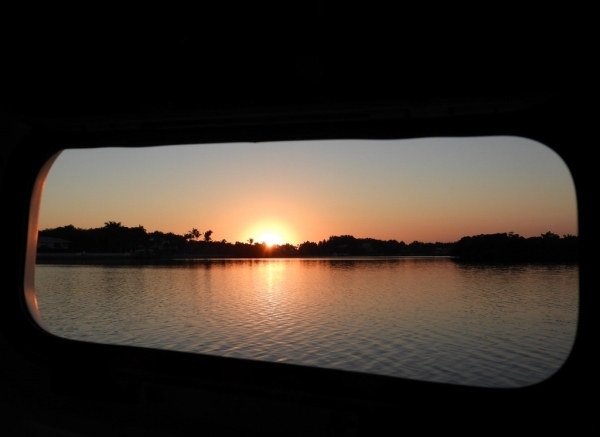 We have decided to take a break from work and its now our time to enjoy the boat while cruising with World ARC. As for the future only God knows! Commerce as World Ambassadors while we cruise. Welcome to the Smoke and Roses blog…here Dan, Agnes and the crew will endeavor to keep you up to date as Smoke and Roses sails around the world. Departing from south Florida, meeting World ARC in the Caribbean, through the Panama Canal, through the Pacific Islands, Australia, South Africa, Brazil and back to the Caribbean. Join us on our journey. This is not National Geographic and I do not have any high tech editing software but I have always enjoyed taking pictures. Please enjoy this virtual photo journal of our cruise. We are two typical Midwesterners; super friendly, eager to help, strong Christian faith, deep Country pride and although separated geographically we are close to family. Having worked hard all our lives, often working two jobs or running multiple businesses we are now about to embark on a journey of a lifetime as we sail around the world. 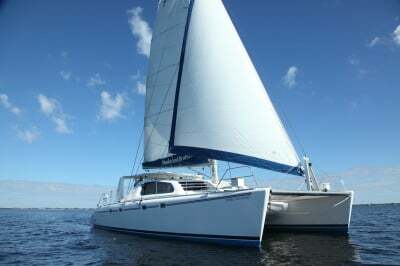 ​S/V Smoke and Roses, a product of South African boat builders Robertson & Caine is a 2005 Leopard 47 sailing catamaran. She features a unique, modern design thanks to experienced naval architects Simonis and Voogd as well as Robertson & Caine's design team. Her speed, agility and reliable blue-water performance serve us well. Joining us on varius legs throughout our cruise will primarily be a few family and friends. These people have compatable personalities and similar desires. They are reliable and could get away for a month or two at a time that would accommodate our cruising itinerary. Get accquainted with our crew by reading their introductions. Upon the return from our world rally in June of 2019, the following cruises will be offered. This area under Construction Please check back.